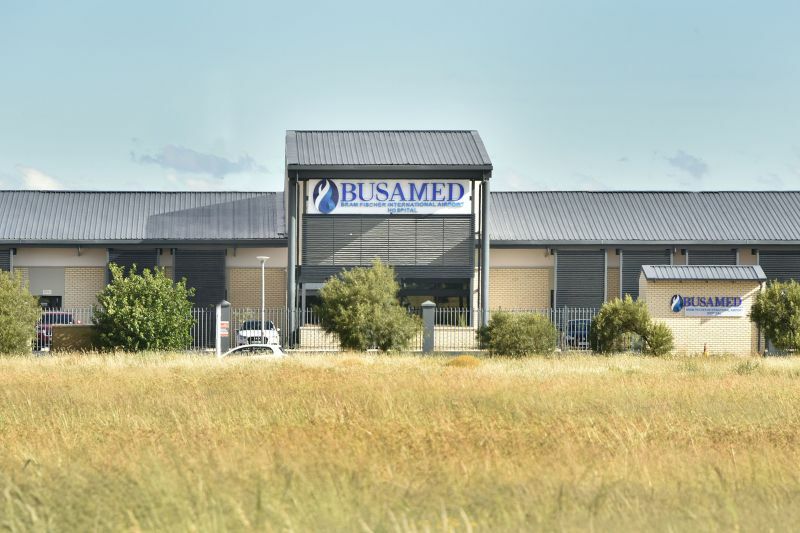 To meet the requirements for designing a healthcare building which would be aesthetically appealing, while taking into account the hospital’s location, Ruben Reddy Architects selected Corobrik’s Agate Satin face brick for the exterior of the 9 300m² Busamed Bram Fischer International Airport Hospital in Bloemfontein. This private hospital, situated adjacent to the airport, is a single-storey structure consisting of 110 beds, four operating theatres, an administration department, coffee shop, consulting rooms, pharmacy, radiology department and 24-hour emergency centre. 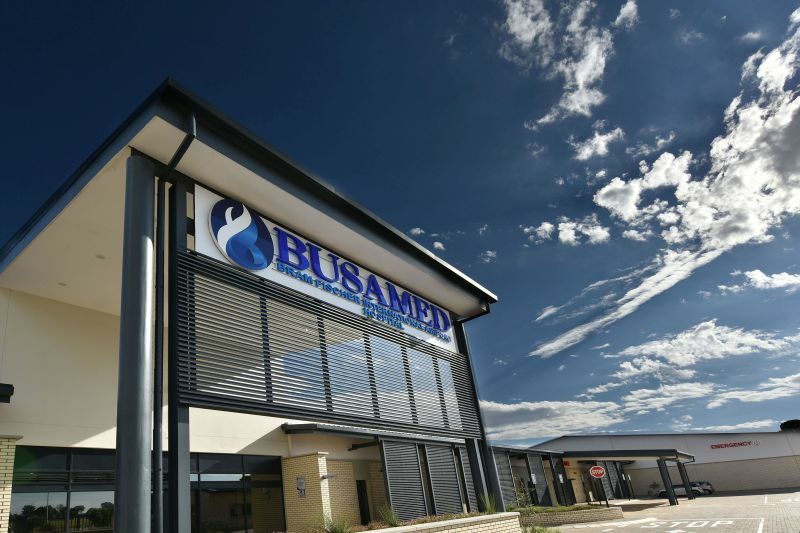 It was opened earlier this year to meet the growing healthcare demands of Bloemfontein and surrounds. “We had to consider the conditions – the hospital was set to be located close to an airport, and this meant it would be exposed to noise, wind and dust,” says Gonzalo Prieto, director at Ruben Reddy Architects. The hospital is a one-storey building, constructed at an unusually low level in accordance with airport requirements. A specialist acoustic engineer assessed the site and determined that the noise of the planes tends to dissipate before reaching the building, and that it was more the noise of rain that needed to be considered when constructing the ceiling. The necessary insulation devices were incorporated and the hospital configuration, which centres around a courtyard, screens the runway noise from the patients’ wards and provides patients and visitors with an intimate, outdoor space. Musa Shangase, Corobrik’s commercial director, points out that Corobrik’s face brick range has been incorporated in a number of prominent structures across the healthcare sector. “The clay brick has noise insulation properties, superior thermal comfort and the ability to create a healthy living environment through the prevention of moisture build-up. Add to this the brick’s durability, lack of plastering and painting requirements as well as the innate aesthetics, and it’s evident why many healthcare facilities feature Corobrik’s face bricks,” he concludes. Main image: The Busamed Bram Fischer International Airport Hospital in Bloemfontein was constructed with 200 000 of Corobrik’s Agate Satin FBX face bricks.